Come and network with other Rajasthani folks. Must buy online or check received by Oct 20, 2013. Volunteers needed to help with various activities. Lots of activities, fun and delicious food! MUST RSVP as the restaurant has limited seating capacity and we need to know the numbers in advance! 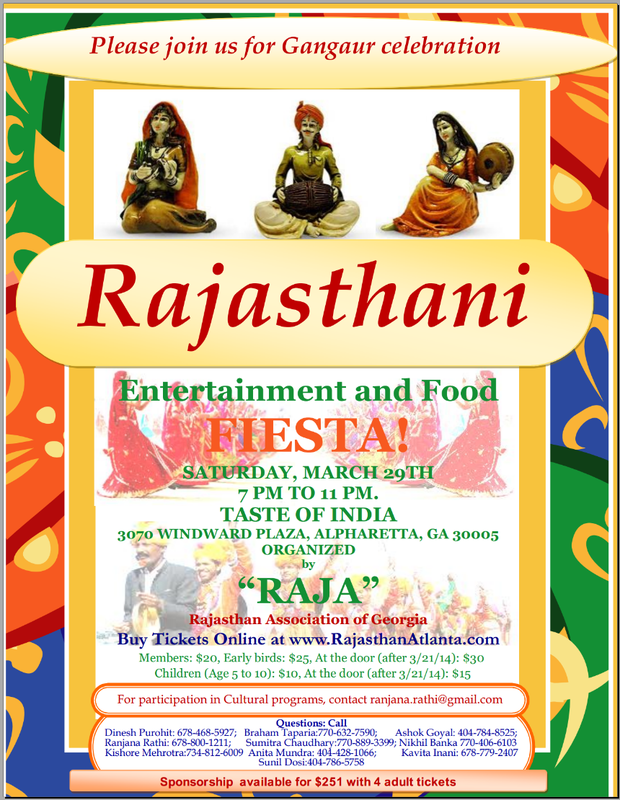 Rajasthan Atlanta is participating in cricket tournament organized by Shiv Mandir on April 13 and 14 in Sugar Hill, GA. The cost for each member is $20 per person which includes a T shirt. 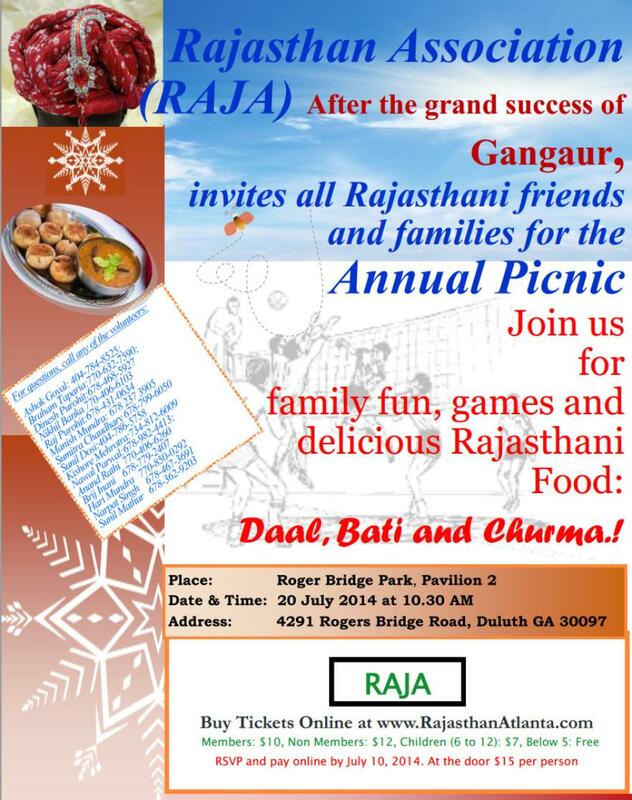 Also, We are planning for a Summer Picnic and our annual Diwali event. Please call us to be a volunteer and help out with ongoing events. Over 125 attending! Come and network with other Rajasthani folks. Must buy online or check received by Nov 5, 2012. Over 80 attending! Come and network with other Rajasthani folks. RSVP: Click here, fill the form. Some activities are free. Others (Gondola ride to the top of mountain, Scenic train ride, 4D movie, Mini-golf, Skyhike, Geyser Towers etc require tickets). Limited discounted tickets available for $19.99 (reg $28) if you "Like" Stone Mountain page on facebook. Offer valid for online booking only. MUST RSVP as food is catered and we need to know the count! Our cost is over $10pp, however, the organizers and your contributions will help keep it to $5pp for our first event! Volunteers needed to help with various activities. Prizes for kids. Lots of activities, fun and food!